For the price, the Acer Chromebook R13 is an affordable option with some competitive hardware, but its performances are slightly underwhelming, especially for those looking to maximise on productivity. The Acer Chromebook R13 convertible 13.3-inch Chromebook has received positive reviews for its battery life of 12 hours, its attractive metal body construction that gives it a premium look, its Full-HD, 1920×1080 IPS display and its comfortable keyboard. Users also liked its quick boot times and found that its performance to price ratio is superb. However, some did find that it is a bit heavy for a convertible, and others thought that its flexible design made it feel fairly flimsy, especially the hinge at the back of the screen. Furthermore, the Chrome OS takes some getting used to, it doesn’t have a backlit keyboard and its overall performance is somewhat mediocre, with users finding that it struggles with resources sapping tasks. The Acer Chromebook R13 has enough juice to last one a full day and it’s attractive design is pleasing, but it is heavy for a 2-in-1 laptop, so it is not great for portability. 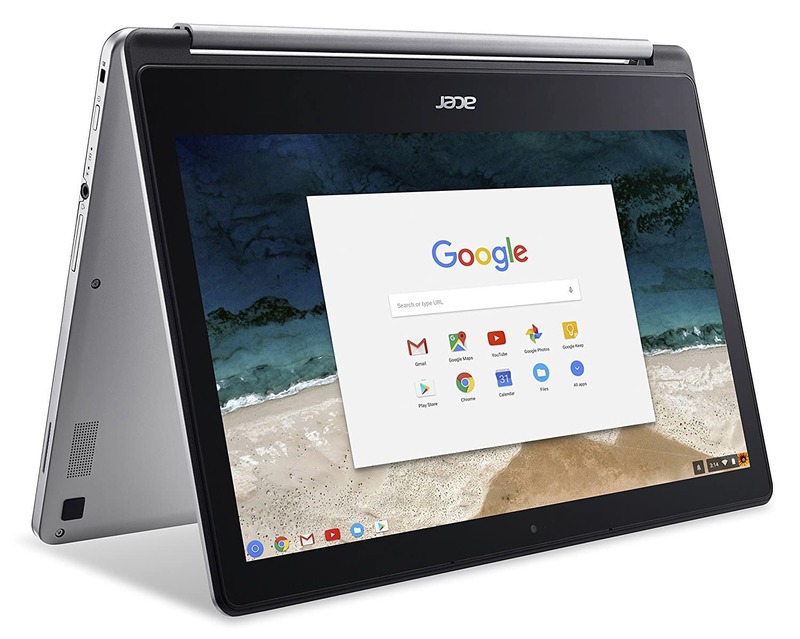 It may cost more than other chromebooks, but the Acer Chromebook R 13 (CB5-312T-K5X4) has a full HD screen, a convertible 2-in-1 form factor, and other features to help justify its price. The Acer Chromebook R13 is a capable Chromebook that won't break the bank, but if your needs are simple there are many other, more affordable laptops worth scoping out. The Acer Chromebook R 13 will get you through the day on a single charge with its excellent battery life, but it’s no performance powerhouse – even compared to rivaling Chromebooks. narrow viewing angles, not suitable for running demanding applications.